Notesetters, Inc.: Working with videos in Transcribe! Working with videos in Transcribe! In this post, I'll show you how to set up Transcribe! 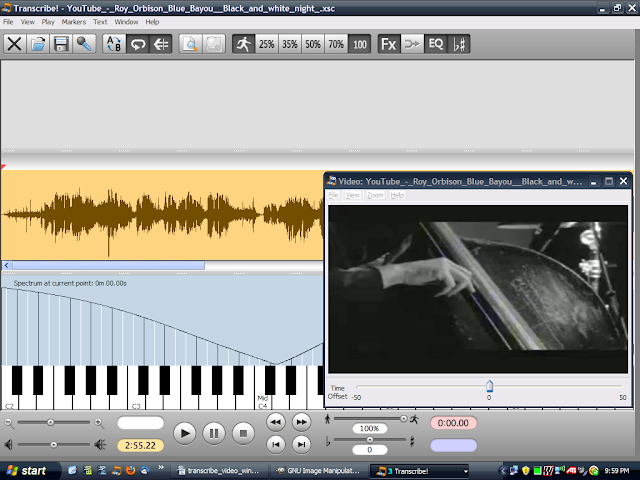 with Apple's Quick Time and use it to transcribe music from video found on the web (under Microsoft Windows). All of this information is available in the Transcribe! documentation, but it took me a little digging, so I'm doing a step-by-step here. 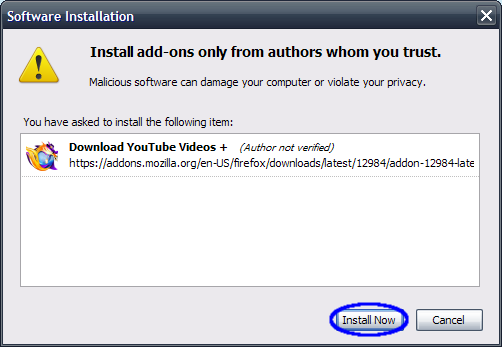 Mozilla Firefox web browser (for downloading video from “tube” sites). Firefox will prompt you that it needs to be restarted to finish the installation. Go ahead and click the “Restart Now” button to restart Firefox (your session will be saved and any pages you were browsing will reappear when Firefox is finished restarting). Now we're ready to go to YouTube and get a music video to work on. Point Firefox to YouTube and search for a music video. Now, YouTube shows videos using the Adobe Flash plugin. But for Transcribe!+Quick Time, we need video that's in Quick Time format. Fortunately, most of the videos on YouTube are available in Quick Time format as an alternate. To get the alternate format, you have to alter the url in the address bar by adding "&fmt=18" (without the quotes) to the very end and pressing “Enter” on your keyboard. The browser window will now refresh, loading the Quick Time version of the video. Now that we have the right format, download a copy of the video using the Video Downloader. 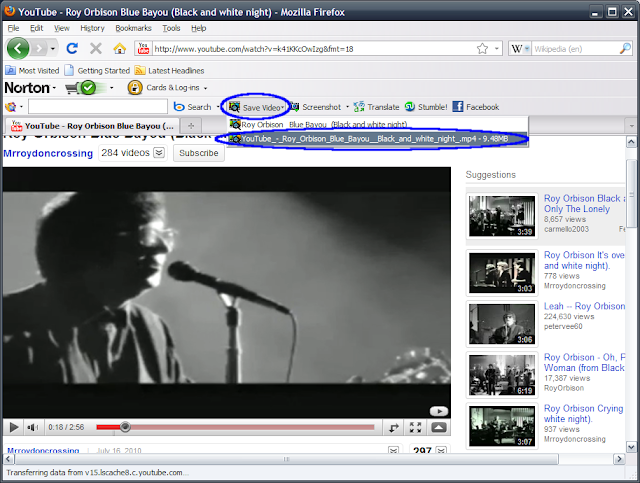 On a toolbar above your browser tab, notice the colored “filmstrip” icon with the words “Save Video” to the right. Click this icon. If you're given a choice among different titles, choose the one that matches the title of the desired video and also has the extension *.mp4, which is the extension for Apple Quick Time format. 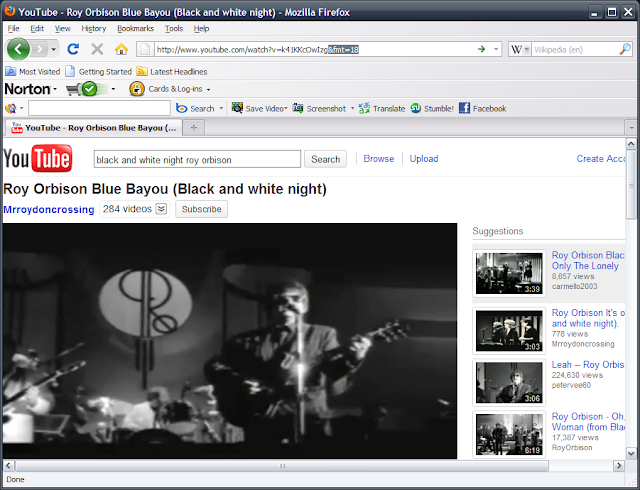 Now you can close Firefox and open Transcribe! Once Transcribe! is up, click the “Open” icon and browse to the location you saved the video file. Select the file and click “Open.” Transcribe! opens, along with a Transcribe! video window. You can now listen to and view the video, and harness the tuning and speed control features of Transcribe!